CE11 alloy,has become very useful material. Baienwei Co.Ltd,is a leading provider of high reliability RF/MW devices with a good sound reputation.We’re very delighted to announce that it will now offer the controlled expansion alloys(50Si/50Al alloy) for RF and microwave field.The Al-50%Si alloy support with ISO9001:2008 QMS and China National Military Standard(GJB) - a successful cooperation with CETC. In addition,Baienwei Co.,Ltd can also provide a range of custom materials,such as ultra-high strength alloy and aluminum alloys. 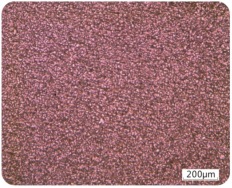 50Si-50Al alloy(also named as CE11 in some foreign countries) was produced by the spray formed technology.Because it can provide a suitable microstructure for such material,silicon(Si) content up to 50%.The coarsening of both the primary Si and the eutectic phase were prohibited by the high cooling rate during spray deposition process(the cooling rate of spray formed is about 1000 times than that of traditional gravity casting method).The microstructure has equiaxed and homogeneous grains,average grain size is 10μm. 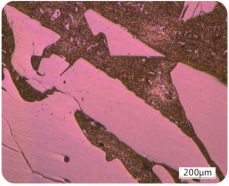 The physical properties have combined the low coefficient of thermal expansion(CTE),higher thermal conductivity and higher electrical conductivity.Modern housing or packaging for RF/MW modules in space-based applications are most often made from silicon aluminum alloy(Si/Al).Due to the high Si content, the alloys exhibit low and stable coefficient of thermal expansion(CTE), approaching those of Si, GaAs and InP active devices. In a word,the Si/Al alloy has become very useful in a variety of space based and terrestrial application. These aluminum-silicon alloys have become an excellent choice for RF/microwave packages and carriers as well as heat sinks, optical and opto-electronic housings,carrier plates for laminate PCB, guide bars for circuit boards, and fixtures in semiconductor processing equipment.Consider Baienwei Co.,Ltd as part of your team for project success from prototype to production.